Natural anti aging skin care welcome’ summer. Summers a great time to try a natural skin care mask treatment. The seasons great fruit choices can easily be used in refreshing mask treatments. It’s never been such a perfect time to try some natural remedies! PAPAYA: One power-packed fruit! 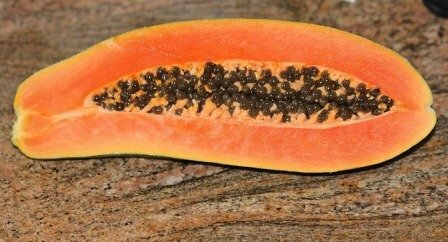 Many anti aging properties are found in abundance in papaya from the pulp to the peel. Loaded with antioxidants such as Vitamin A,C,B, nutrient-rich carotenes, and several minerals, it is very effective for treating dry skin by keeping skin hydrated and helping to shed old skin cells, Papaya also contains enzymes (Papain) that help exfoliate and promote skin renewal, very important for cell turnover. The peel can be useful for removing discoloration and brightening the area on your face or body with regular use. Simply save the peel after eating, rub the peel on the area and allow it to sit for 5-10 minutes. An application of mashed ripe papaya (25-30 minute treatment) will help you achieve smooth, supple and soft skin. This tropical fruit can also be mixed with other natural anti aging skin care ingredients for mask treatments. Mash the pulp of a ripe papaya. Add your favorite cosmetic clay to make a paste. Mix in a bit of olive oil and smooth on face and décolleté. Relax and leave on for 15-20 minutes. Rinse with lukewarm water. AVOCADO: Continue our avocado obsession topically! Avocados are perfect for adding moisture to your complexion and keeping it hydrated. 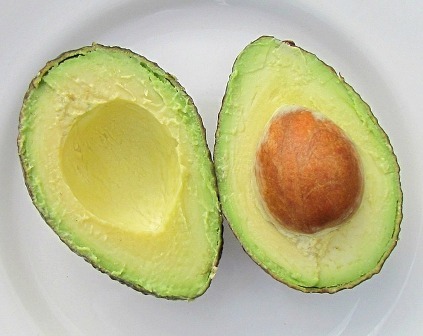 Relax for 20 minutes-Mash a ripe avocado into a paste and apply as a mask. Rinse off with tepid water. They are rich in A,B,C,D, and E vitamins. For individuals that have aging or damaged skin due to sun damage, the rich source of Vitamin C and E together will help improve wrinkle formation and stimulate collagen protein. It also has a high amount of omega-3 fatty acids, unsaturated fats, proteins, and other nutrients that help protect the skin and reduce free-radical damage. The great moisturizing benefits of avocado makes it an ideal remedy for dry skin/itching conditions as well as its soothing properties that help treat redness, eczema and sensitive skin conditions. SAVE SOME FOR THE GUACOLMOLE! LEMONS: Blemishes? Age spots or Freckles? Lemon juice makes a quick home treatment to help dry up blemishes and control oiliness because of its antibacterial and antifungal properties. The bleaching properties (citric acid) can also help gradually fade brown spot discoloration. Cut up some thin lemon slices to apply directly on your face or use a cotton ball or Q-tip to apply the juice to the area. 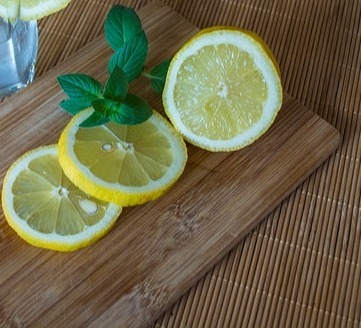 Refresh your complexion with Lemon! Take advantage of this inexpensive Vitamin C source that is also rich in Vitamin A, calcium, copper, magnesium and potassium. If you have injuries, cuts, or have a sensitive skin type refrain from using lemon juice. Lemon used topically may increase photosensitivity so protect your skin from the sun. Pomegranate: You already know the health benefits associated with this amazing antioxidant-rich fruit but did you know ongoing research is unveiling that it also has anti-aging properties? Numerous key antioxidant vitamins such as C, B, and K and a particularly high content of polyphenols offer many rejuvenating benefits. The anti-inflammatory properties this superfruit contains is a perfect solution if you suffer from oily/acne complexions. It will help prevent break-outs, heal and provide repair. Vitamin C is excellent for brightening dull skin and evening out skin tone. 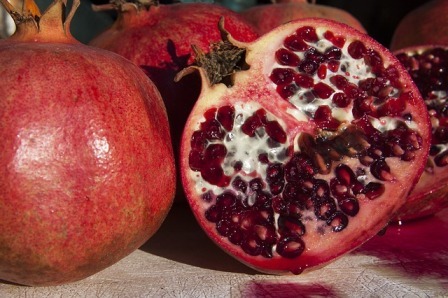 Prepare a pomegranate paste by putting the seed beads( Seed extract contains an Omega 5 essential fatty acid (Punicic acid). through a blender to get a paste. You can use anything for a base- yogurt, mayonnaise, or honey work well. Mix well and apply to the face and décolleté. Leave on 25-30 minutes before you rinse off. BANANA: You will be amazed what beauty benefits this common fruit can provide. It can help nourish your face with its abundant source of Vitamin C, fiber, Vitamin A,B,E and a good amount of minerals such as magnesium, potassium, iron, and zinc. 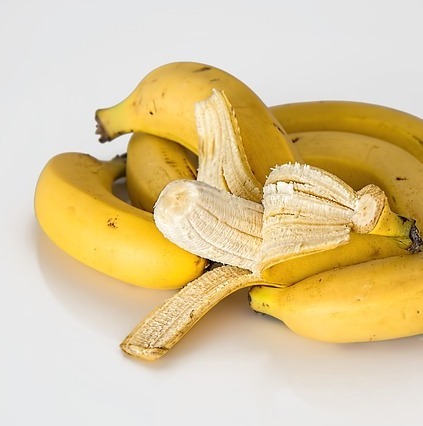 Make a banana mash by using a ripe banana and mash the pulp with a fork. Any type of natural anti aging skin care ingredients may be combined with banana to enhance the treatment if you desire such as milk, yogurt, sour cream, or honey. Summer Medley Fruit Mask Take precautions -It is recommended to always pre-test for ingredient sensitivity before any treatment.